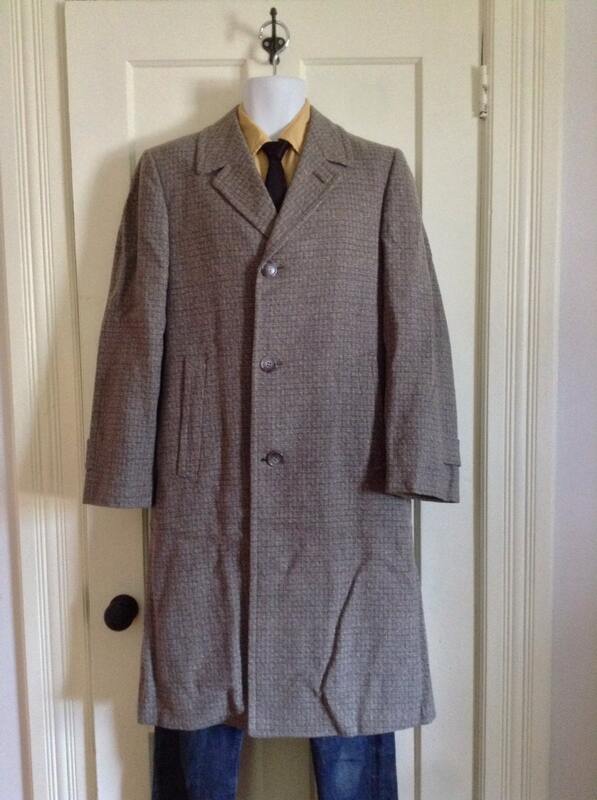 Here's a deadstock tweed overcoat from the 1950's. 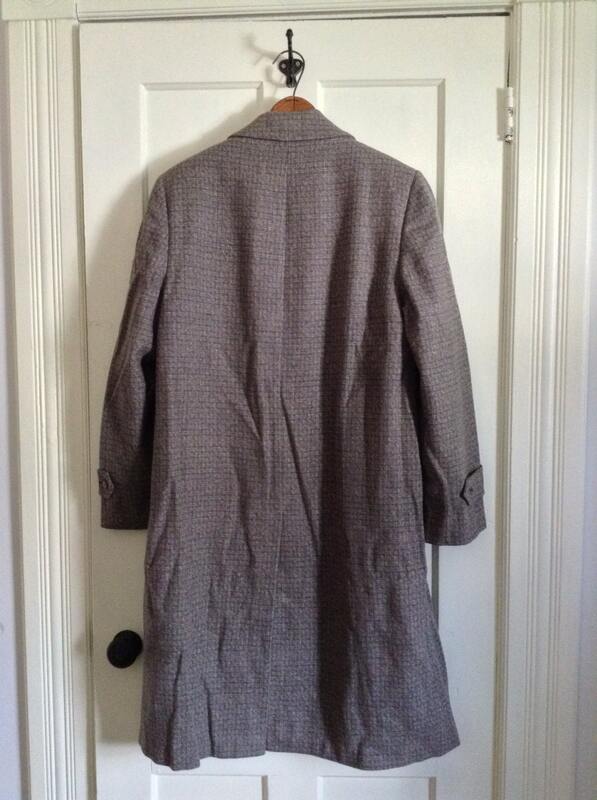 It's gray plaid with black and white speckles and flecks of red. 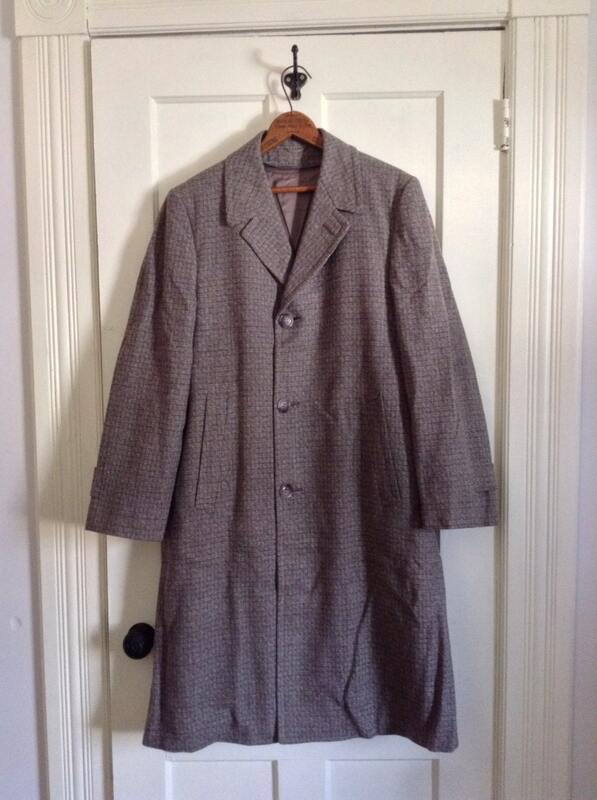 It has button straps on the sleeves, and a single vent in back. 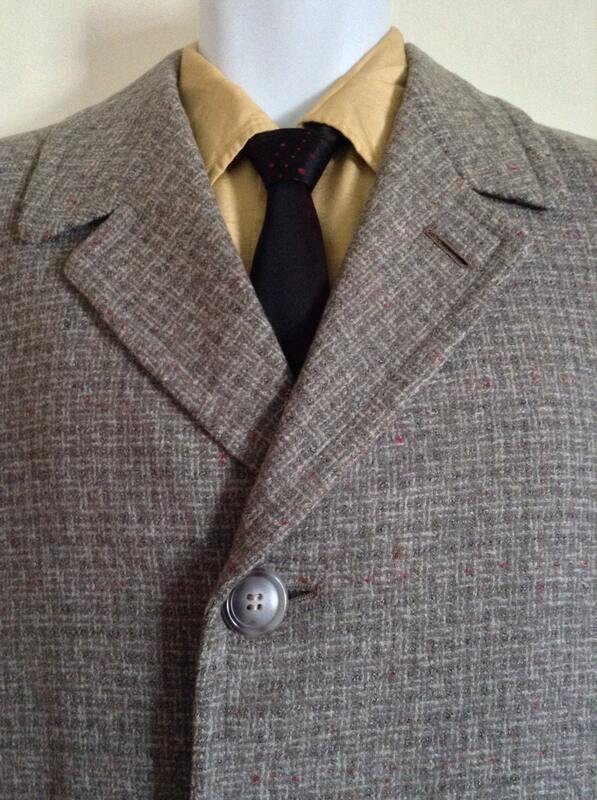 It has a removable plaid wool lining. It's in excellent unused condition, no damage. 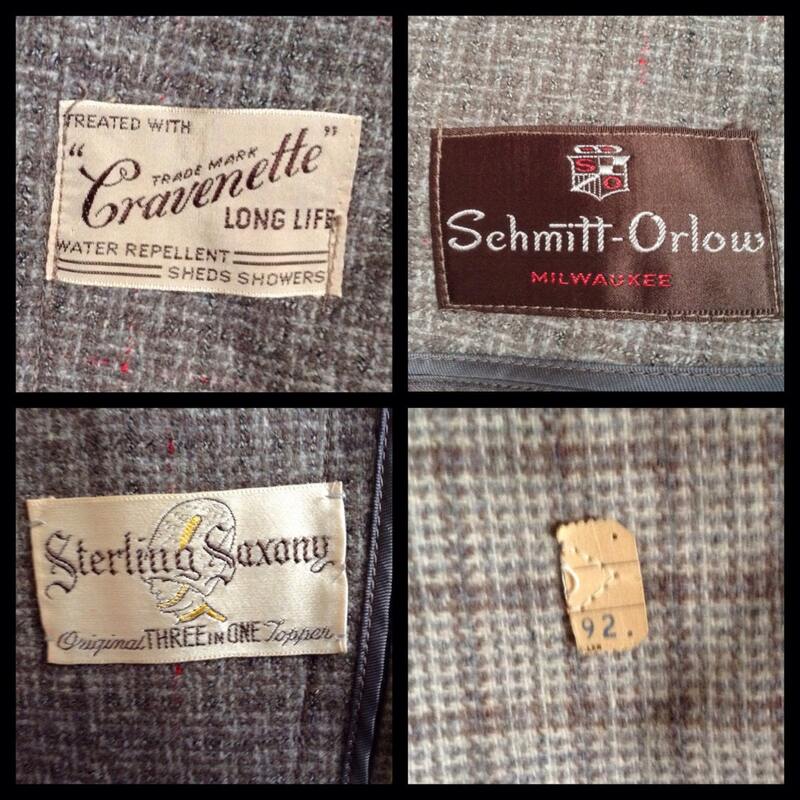 Labels- Union Made, Cravette water repellant, Schmitt Orlow, Milwaukee, Sterling Saxony original three in one topper.